David Schalliol. “The Rise of the 606 and its Bloomingdale Trail,” 2015. 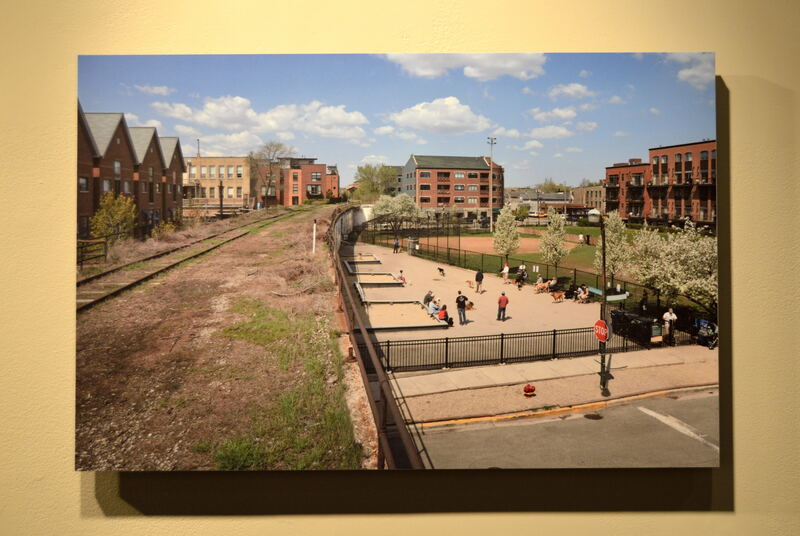 One of the most inspired recent additions to Chicago’s public spaces is The 606, a trail that follows the tracks of the once-abandoned elevated Bloomingdale train line that runs in a straight line through Humboldt Park, Logan Square, Wicker Park and Bucktown. To be on the trail is to be transported to a world that is apart from and above the city, yet is immersed in it, as the tops of buildings at times form walls on both sides. The experience is invigorating and empowering, especially because the line has been left in a partly rough state. It is a place where people can jog, stroll and walk down to several ground-level parks that dot the route.